Bolchazy-Carducci Publishers provides educational materials for Latin, Greek, and Classics teachers and students. 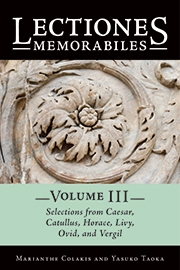 Our Latin textbooks cover everything from introductory Latin, with our series Latin for the New Millennium, to Advanced Placement® Latin, both AP® Vergil and AP® Caesar, to advanced Latin in our BC Latin Readers Series. 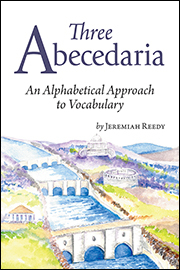 Our Latin workbooks and LEGAMUS Transitional Latin Readers are ideal for those making the leap to intermediate Latin and authentic Latin author texts. 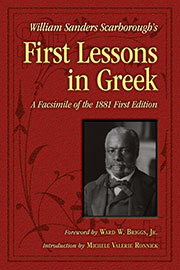 B-C has many Greek textbooks including the introductory level reader Twenty Greek Stories designed to accompany Greek: An Intensive Course by Hansen and Quinn and Reading the Gospel of St. Matthew in Greek. 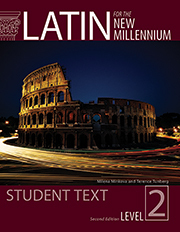 Latin apps, Greek and Latin eBooks, English translations of ancient authors, Neo-Latin translations of modern children's classics like Where the Wild Things Are, and more supplement our textbooks. 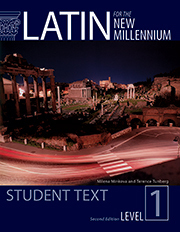 The Second Edition of Latin for the New Millennium is now available! 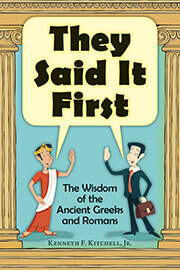 Check out a list of changes and additions here.